Amy Cuykendall graduated from Stetson University College of Law and became licensed to practice law in April 2005. She clerked with Englander Fischer, P.A., in 2003 and was later hired as an Associate and promoted to Shareholder in 2008. From 2009-2012, Amy owned her own company, Core Care Patient Advocates, and is a 2010 graduate of Leadership St. Pete. She served nine years on the Board of Directors for Community Action Stops Abuse (CASA), including service as President from 2009-2011 and as Chair of the Housing Committee, which founded the new 100-bed shelter that opened Summer 2015. In 2010, Amy was awarded St. Petersburg’s Young Professional of the Year and was inducted into the Florida Association for Women Lawyers 2011 Class of Leaders in the Law. 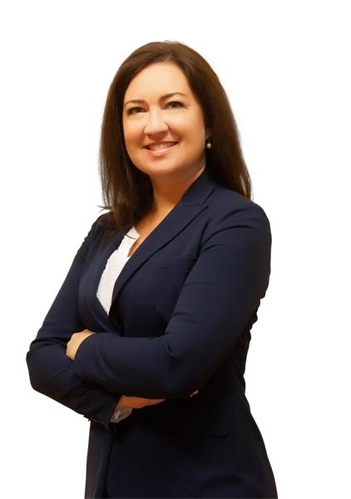 Amy has worked for Castle Law Group, P.A., since 2010 and is a partner in Hillard Cuykendall & Allred, P.A. She has vast litigation experience, having conducted multiple trials and several hundred hearings in business and real estate litigation. In her spare time, she enjoys running, cooking, and spending time with family and friends.